Australia legend Mark Waugh expressed disappointed after the hosts put up yet another poor batting display on day three of the Sydney Test on a surface good for batting. The Aussies after a great start faltered to 236 for 6 when rain and bad light forced close of play. Australia ended the day trailing India by 386 runs, making a maiden series triumph for India Down Under a near certainty. Peter Handscomb (28) and Pat Cummins (25) were at the crease at stumps. "Disappointing to say the least, I thought we were in for a big day. I thought Marcus Harris played beautifully, I had him tagged for at least a hundred maybe 200 early on. But really the story of the summer for the Australian batting is that a lot of players got in, they looked quite good and then got out to really poor shots," Waugh was quoted as saying in an India Today report. "I thought the Indians bowled okay, there was nothing in the pitch for them, was a very good batting track today. So really the Australians got themselves out rather than great bowling," Waugh added. 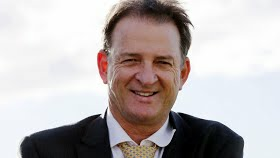 Trying to decipher what's going wrong for the Aussie batsmen, Waugh explained, "We are all searching for answers. These guys are good players they have all got ability but I just think at the moment they are caught in between playing for their spot and playing too negatively. Then they'll play the big shot to try to release the pressure. "At the end of the day we are not batting for long enough periods. Maybe take a leaf out of Pujara's book. Just dig in there even if it looks ugly for a little while, get through the tough spells," Waugh further said.